Thanks to this lovely lady over at the Skinny Doll blog for her Turf Sauce review where she gives the low down on flavour and Weight Watcher SmartPoints! Huge thanks to the lovely people over at www.murphys.com Absolutely delighted to get a lovely mention of our Turf Sauce! Click here to read more. 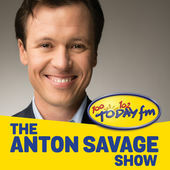 I had a great time this morning on the Anton Savage show with the lovely Jimmy Allen from De Roiste talking all things Turf, SuperValu, Food Academy and those Dragons! To listen click here. We all know the usual suspects on the menu this Christmas, everything from Smoked Salmon, Turkey, Brussels Sprouts, Baked Ham, Stuffing and Nut Roasts will take their place at the table……..
A small part of something BIG!